The Macedon Ranges will have a chance to Ride 4 Renewables and visit the site of what could be Victoria’s next community wind farm. Yes 2 Renewables are pleased to join Woodend Cycles in supporting the community event. The Macedon Ranges Sustainability Group is hosting the family-friendly Ride 4 Renewables to raise awareness of the barriers to renewable energy in the region. 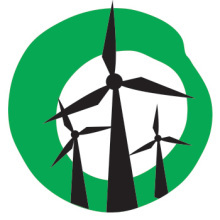 In 2011, the Baillieu government imposed an arbitrary blanket ban on wind farm in the region. 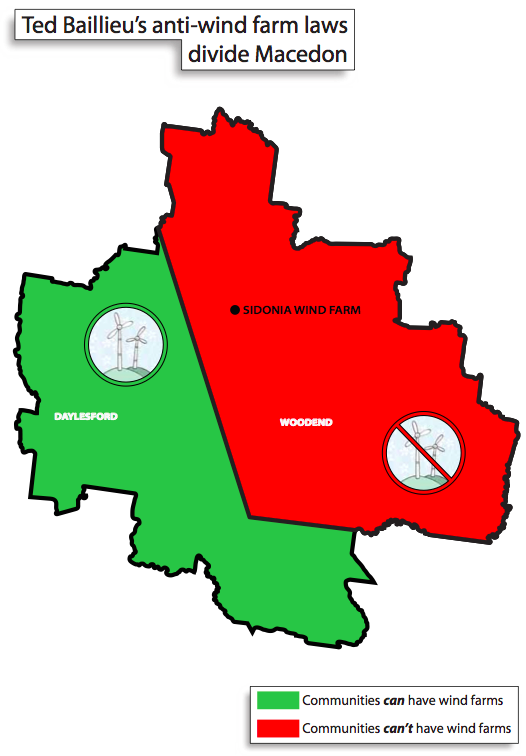 The ban killed off the Macedon Ranges Sustainability Group’s proposed community wind farm near Woodend. Macedon locals were set to follow in the footsteps of the successful Hepburn Wind Farm operating just 40 kilometres away in Leonard’s Hill. The Hepburn Wind community wind farm operates near Daylesford. A proposal of a similar scale is prohibited near Woodend. The proposed community wind farm in Woodend would have created 30 construction jobs, six ongoing jobs for the 30-year life of the project, $151,000 worth of flow-on economic benefits to the region, up to $45,000 worth of community grant funds, $24,000 worth of drought-proof income for wind farm hosts, and enough clean electricity to power all the homes and businesses in Woodend, Macedon, Mt Macedon and Newham. Renewable energy has emerged as a mainstream election issue in the seat of Macedon. There’s an appetite for restoring fair laws for wind farm within the community. The family-friendly bike ride will cover a relaxed 13 kilometre route from the Black Forest Timber Mill on Black Forest Drive to the site of proposed community-owned wind turbines in the pine plantation off Fingerpost Road and return. Who: Everyone is welcome for a fun and relaxed day out. Lunch and refreshments will be provided at the starting and finishing point. Lunch: Lunch and insurance is included in the registration cost: $25 per person or $40 per family. Other: Ride 4 Renewables is on gravel roads and more suitable for mountain and hybrid bikes than road bikes. Helmets and parental supervision of those under 16 essential. Sign our petition calling on Premier Napthine to encourage renewable energy jobs by scrapping anti-wind farm laws and reinstating a Victorian Renewable Energy Target.